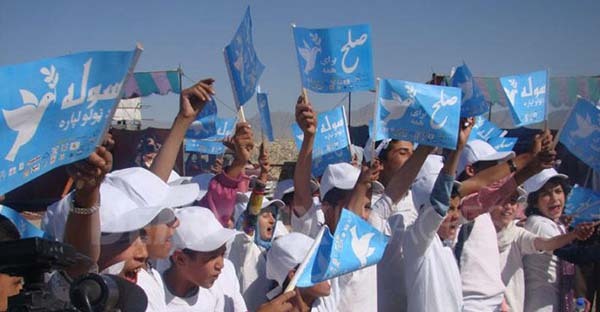 This year’s Peace Day is being celebrated at the time that terrorists, including Taliban and Daesh (ISIS) sparing no effort to target Afghan civilians across the country and the peace game has changed into an endless political competition that has never come to fruition but debated hotly once in a while. Afghan government put all its eggs in one basket to hold talks with the Taliban elements, mainly when Pakistan promised to nudge them to the negotiating table. Afghan officials fluctuated between hope and chagrin for more than a decade and established the High Peace Council (HPC) to persuade the Taliban to stop violence and bloodshed. Whenever Afghanistan nears to hold talks with Taliban, a whistle-blower emerged mysteriously and sabotaged the plan. As a result, Pakistan, which is seen as key to the future of Afghanistan, brokered the first-ever direct talks between the Afghan government and the Taliban in July 2015. But the process was scuttled after the confirmation of the death of Taliban Supreme leader Mullah Omar and then his successor Mullah Mansour. He said Afghan government efforts, “which we hope would be reciprocated by the Taliban,” need to be reinforced by regional and other key countries – and by confidence-building measures that could include prisoner releases and technical assistance in contested areas on agriculture, education and health. As per UN envoy, there should be efforts both from the regional countries and the international community as per their promises to change the circumstance in Afghanistan in true sense. Eradication of terrorism stands as the top priority matter and the real peace process should make the country move towards a terrorism free country, and make efforts for better governance, justice and rule of law. Meanwhile, peace talks with the Taliban are going to be an indispensable option. The Afghan government needs to keep up military pressures on the insurgency to force them into a negotiated settlement. Pakistan is going to have a role in ending the Afghan conflict and neighboring country’s foreign minister in his recent visit to Kabul assured of joint counterterrorism efforts. Therefore, the two countries should reach a common ground for ending the conflict through a sustainable and long-term partnership, otherwise terrorists would further destroy the two countries and once again would turn to a global threat.